It wouldn’t be a visit to Monterey, CA without a visit to its world famous, sustainably-recognized, absolutely wondrous Monterey Bay Aquarium. Look, this isn’t hype, it’s an actual under-the-sea wonderland committed to it’s mission to “inspire conservation of the ocean.” For goodness’ sake, it’s the #1 rated attraction in the area on Tripadvisor— that’s legit. We’re thrilled to partner with both the renowned nonprofits, Monterey Bay Aquarium and Monterey Bay Fisheries Trust, for our upcoming ComCap17 community capital conference. Their partnerships support Monday afternoon’s panel, “Financing for a Local Food Economy: From Farms to Fisheries,” and Wednesday’s special working group, “Rebuilding the Local Seafood Supply Chain.“ These sessions feature Alan Lovewell of Real Good Fish, Narendra Varma of Our Table Cooperative, Jeff Wade of Slow Money SLO, Sherry Flumerfelt of the Monterey Bay Fisheries Trust, Arno Hesse of Credibles, Christina Oatfield of the Sustainable Economies Law Center (SELC) and Christophe Hille of Karen Karp & Partners, along with Brett Melone of California FarmLink and Janelle Orsi of SELC as moderators. Interested? Half day, single day and full conference passes are available. READY TO VISIT!? 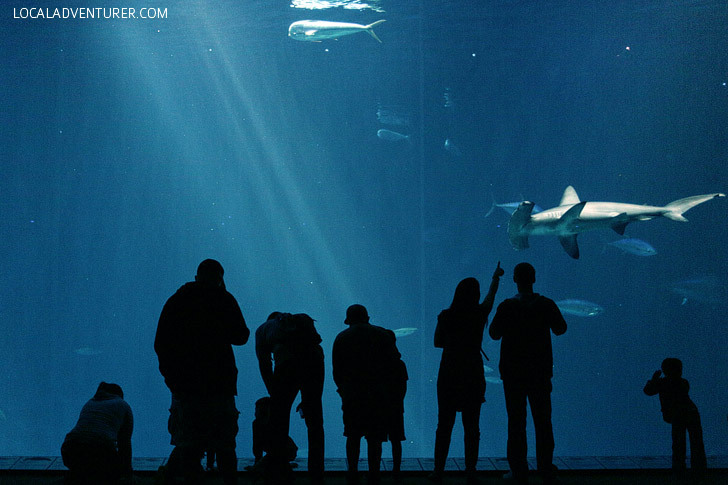 The Monterey Bay Aquarium has generously provided 30 discounted admission passes, each valid for up to six (6) guests in a party, offering an average of $5/each admission type. Stop by the conference registration desk during the mornings at Golden State Theater to pick one up, or email Jess to reserve one and pick one up at the conference. This ticket is valid September 8-15, 2017. For more information on ticket types and everything else about your visit, head to MontereyBayAquarium.org. And with that, perhaps we’ll run into you sea-gazing, and in any case….we’ll MEET YOU IN MONTEREY!